Courmayeur, in a position of great prestige. 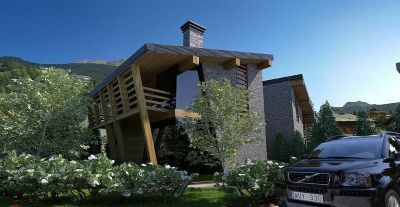 In the heart of the marvelous private park of one of the most exclusive and elegant villas of Courmayeur, in the immediate vicinity of the center and the cableway installations, we propose a housing solution soon to be built. Inestimable position, high architectural quality, internal layout yet to be customized. Purchase with residence restriction.Complete the car garage and private outdoor parking space.